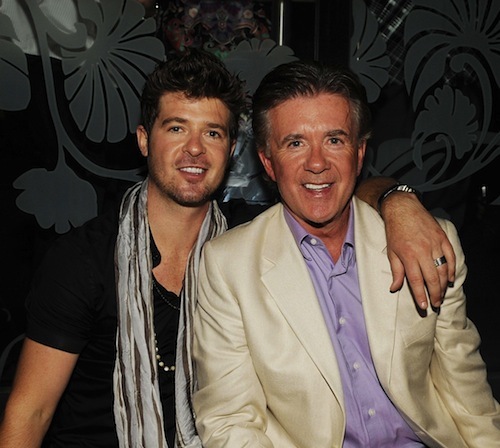 This never even crossed my mind, Robin Thicke is the son of Alan Thicke. Mr Seaver from growing pains, next to each other you can tell the similarities but the thought never even crossed my mind at all. One of the most famous fathers from the 80s, is father to a platinum winning musician. Their characters seem very different, when Robin Thicke comes off as smooth and chill while Alan Thicke comes off as charismatic and upbeat. Now that’s something that I didn’t know. Seems like Microsoft really wants to lock you in, and this is how they are doing it, now it seems that the games you buy aren’t your to do with as you please. Its like buying a car but you can’t do anything with it except sell it back to the dealer. I will keep my XBox 360 for a little while until they change their stupid policies. The new XBox One is here, Microsoft is referring to it as the new “Entertainment System”, people don’t realize that at the core of all this is gaming, we want to play games as well as have other features, gaming is the main feature, everything else is secondary. So Microsoft has to do a lot to live up to, but one thing I like is XBox Live and your Gold Account is going to carry over to the XBox One which is great, the functionality of XBox One is going to be the same with a mix of XBox 360 & Windows 8 so if your familiar with them you will be fine. They are trying to introduce more functionality with TV, Skype, and Internet Explorer, its ok but not key for me. I want to see if they will be releasing another Halo, now that would be Epic, even though I haven’t finished Halo 4 yet, I still have the rest of 2013 to do that. One surprise for me is that they have finally introduced a slot-loading BluRay player, I still buy BluRays but only of movies that I love, so I’m not sure how many people have BluRays when they have the option of streaming, still its a good option. 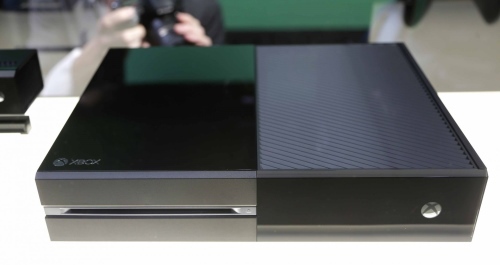 As far as installation, when you first insert a disc into the Xbox One, it’ll install the game to the hard drive — you won’t have to use the disc again. As for internet connectivity they haven’t given a clear picture, so I’m not sure if it has to have internet connectivity to keep playing the games, that wouldn’t be a wise decision if you have to have constant internet connectivity. I like the idea that you load the disc once and then you don’t have to use it to play the game. 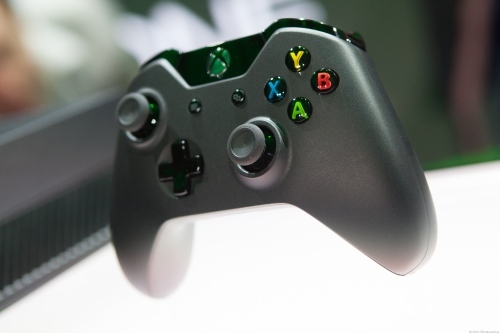 The controller is an update that I really like, they put a lot of thought into it and everyone keeps saying how great it is, so that is something I want to try. 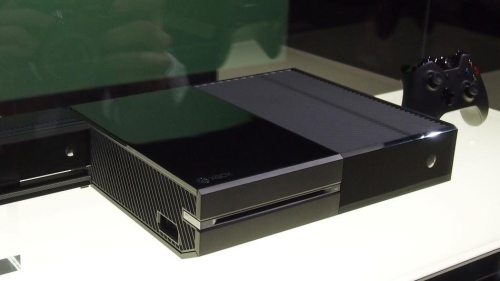 They new Kenict is a bit like the CIA’s dream it can hear and see you while the console is off, you can use gestures and voice commands to switch the XBox One on and go through its menus. 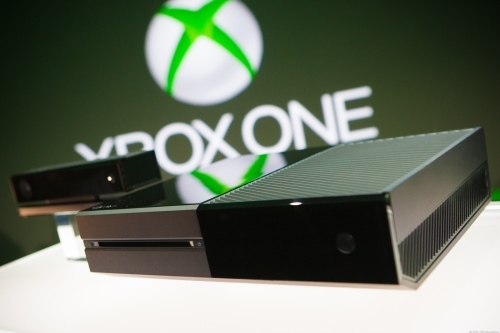 Again not backwards compatible – I only have about 20 Games that I cherish, so what to do with them now? No Used Games, So I don’t know how thats going to work for rental companies now! Sometimes I want to try a game but don’t want to buy it, so whats the solution? New Kenict which is watching you all the time, not a feature I like, will probably point the Kinect to the TV, don’t like being watched! 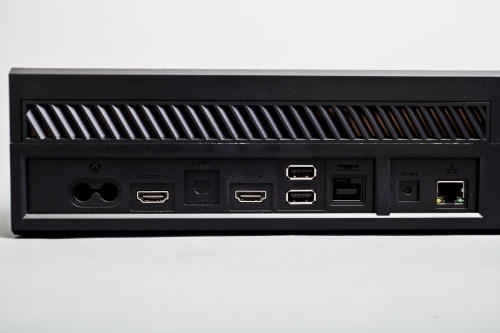 Both consoles promise to track your motions, power on instantly, and seamlessly update themselves in the background, among many other common features. Lets see how that works out, how many people have power up their XBox 360 or Playstation after a month of not touching to play a new game and end up having to perform a systems update for an hour or more so that you can play that new game. Honestly what I loved about the XBox was XBox Live, I could always play with friends across the globe, this time around I don’t know what they have planned. Overall I’m honestly excited about the new console but they have to clarify a few points about the 2nd hand market and online connectivity. I’m the graphics will be phenomenal, and I want to see what games they have lined up, not sure what they are going to price it at, but I’m hoping it won’t pass the $400 mark. Based on the non-comedy television show that launched Johnny Depp, the comedy film stars Jonah Hill and Channing Tatum as a mismatched pair of cops who join an undercover division that infiltrates a high school to crack down on a new drug. No word on whether Huggy Bear makes an appearance. If anyone remembers this show, it was serious and it is what brought Johnny Depp to the top of the list and he was cool then just as cool as he is now. Now they are making a movie of it, and its just the concept of some guys who look too young to be cops and get thrown into a highschool to find out whats going and manage to do a few hilarious things on the way. Looks interesting, I for one am for sure going to watch it. Marvel at the powerful spellth and legendary ekthploith of the Wizard. Best Merrie Melodie ever made. I haven’t seen Warner Brother cartoons in a long time, Daffy Duck was hilarious in this skit. A group of young, rookie police officers must learn to adapt to their jobs and meet the expectations of their friends, families and co-workers. To serve, Protect, and Not Screw Up! 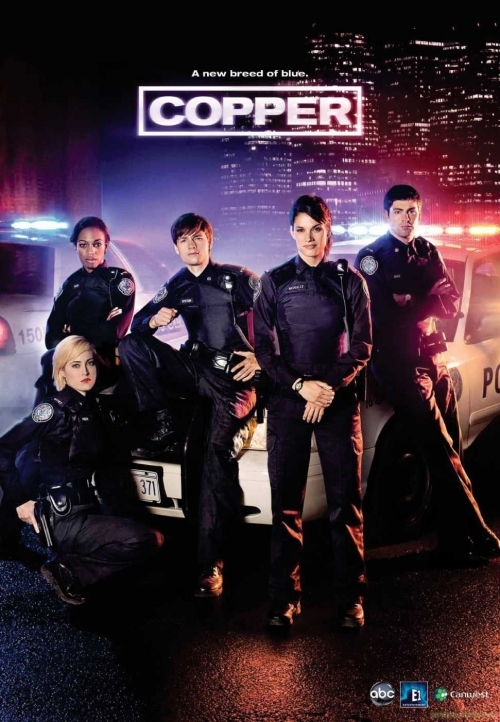 This is an ABC show which turned out to be much better then I expected, a bunch of rookies joining the police force for the first time, fresh out of the academy. The combination of characters and the solid story makes this a very good show, you start liking the rookies right away, there are the comedic moments, and there is a good combination of action and drama to pull you in. The first season is only 13 episodes and you finish it quickly because its pretty damn good. My hat goes off to Wataniya for an amazing advertisement, for 50 years of independence and 20 years of liberation. This ad really gives the feeling of love that we have for our country, and for those who have passed away. There is always a feeling of hope in Kuwait, you can always say we are a creative people and we try hard. I loved the old theater shows we had, they were funny and entertaining, and seeing Sheikh Jaber and Sheikh Saad always brings a warm feeling to my chest. Excellent work putting all this together! I saw this musical a little while back and never really came around to writing it up. 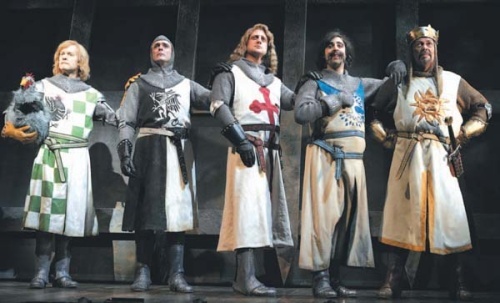 I have been a fan musicals for a very long time and try to go whenever I have a chance. There was a lot of hype around this musical at the time so I decided to go see it with the family. 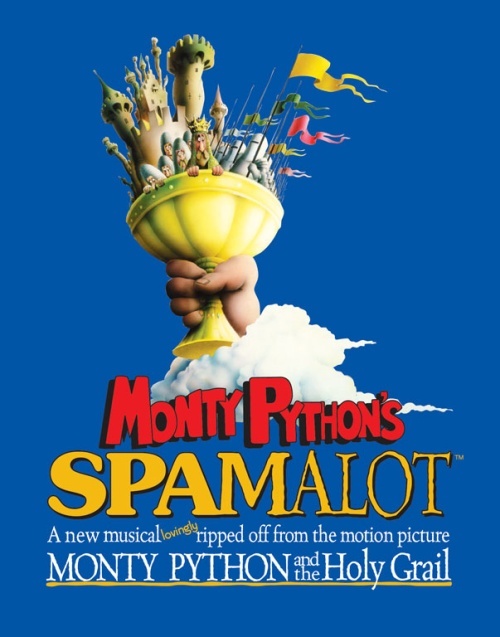 The a funnier interpretation of Monty Python’s and the Holy Grail and a few creative parts of their own. It kicks off with an interesting introduction that gets you laughing and it just kept getting better. At certain parts of the musical I was laughing so hard my stomach hurt, I have never seen a musical as funny as this, and if I had the chance I would go see it again. There are a lot of good musical out there to see but this is by far one of the funniest I have seen, and if you do have a chance to see it then don’t miss it. Now this girl has really worked all the tools she has in front of her. You always hear about how things are in New York, and she is really living her dream or trying to achieve to be exact. The best part of it is that she didn’t have a computer when she started her carear and so she used the Apple store for all her Scheduling needs, and all her info.